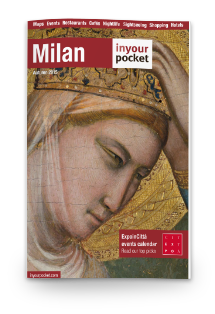 See Milan and its most iconical places from the rooftop of Galleria Vittorio Emanuele! The terraces Duomo Milan is in front of you! 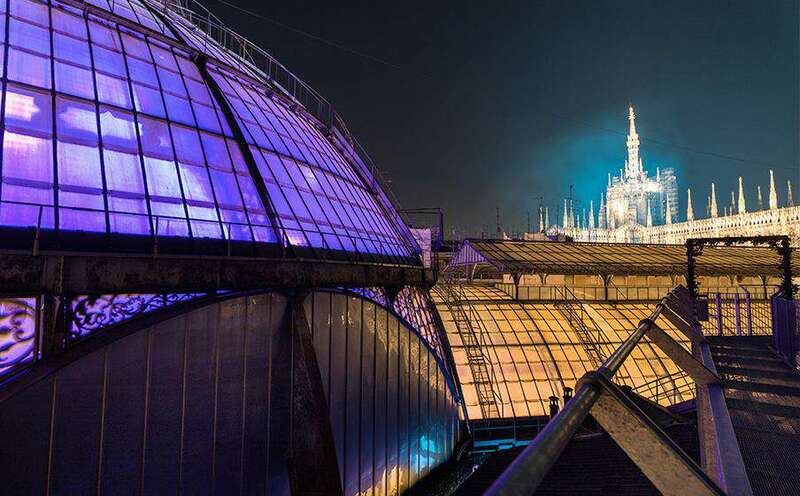 The Galleria and its rooftop was built at the end of the 1800 and dedicated to Vittorio Emanuele II, the king that made Milan join the Reign of Italy. “Vittorio Emanuele Galleria” was built by Giuseppe Mengoni that proposed a long gallery, crossed by an arm, with the center of the intersection a large octagonal “room” . The Octagon in the center is considered the living room of the city named also “Il Salotto di Milano”. On its floor, in the center, there is a mosaic with the emblem of the Royal House of Savoy. Do you know you can also have a dinner/lunch over the rooftop of Galleria for just 15€ thanks to MilanoCard? Is a limited promotion, click here for more information. – Any businesses with windows that overlook the gallery must have teh same style, with gold writings on black. 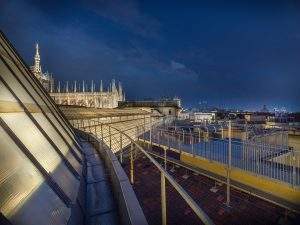 From the rooftop of Galleria Vittorio Emanuele you can admire Piazza Duomo and the Cathedral, Piazza della Scala and the new city skyline named Porta Nuova. So you can have a 360° panoramic view on Milan. The terraces route is 250 meters long and there are also parking areas and panels that explain the history of the gallery and a lighting system for night visits. On the rooftop you can find also a very nice Pizzeria.